The Real Santa Claus lives in San Diego part time – call today and book your Christmas party or event with the real Santa Claus of San Diego. Your Santa will arrive on time and looks forward to providing you with great photos and pictures you and your family will always cherish. 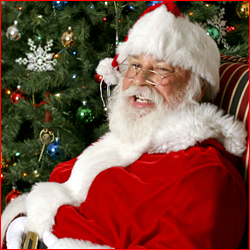 Santa also performs Magic and Illusions – Christmas Stories and Christmas Songs also available by The Real Santa.